The import/export QuickBooks by Intuit interface is an excellent way to share information created or collected in Scheduling Manager and is included with all Scheduling Manager packages. Export Payment information to QuickBooks. 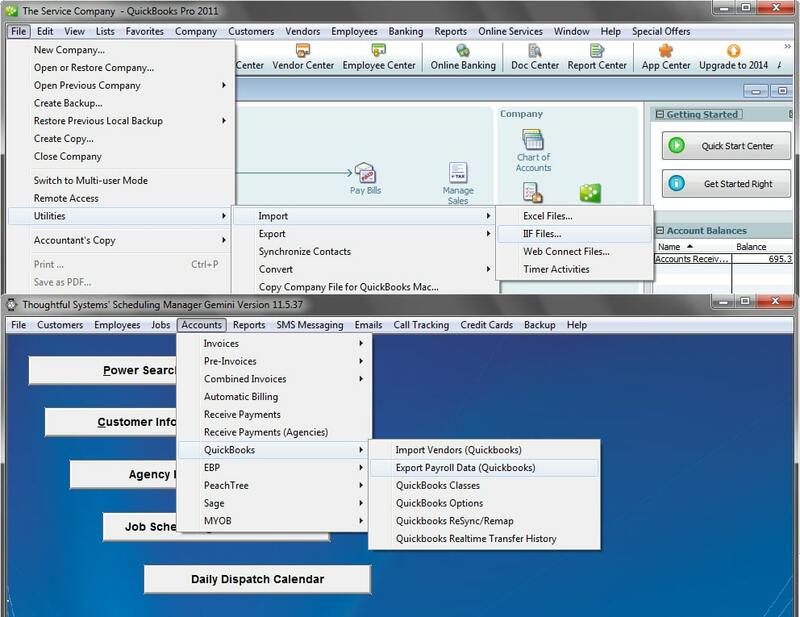 Export Payroll data to QuickBooks. 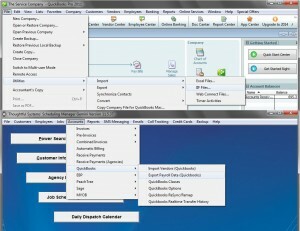 With this interface you have the ability to export selected transactions to QuickBooks. This saves you time as invoices are generated automatically when jobs are marked has having been completed, and payments can also be recorded automatically if your clients typically leave payment at the time of service. With this interface, even if you have hundreds of transactions, you can export them to QuickBooks in a matter of seconds. The QuickBooks RealTime feature is a seamless, real-time link with QuickBooks. If you are already a QuickBooks user, this means transferring your customers can be done in a matter of seconds. 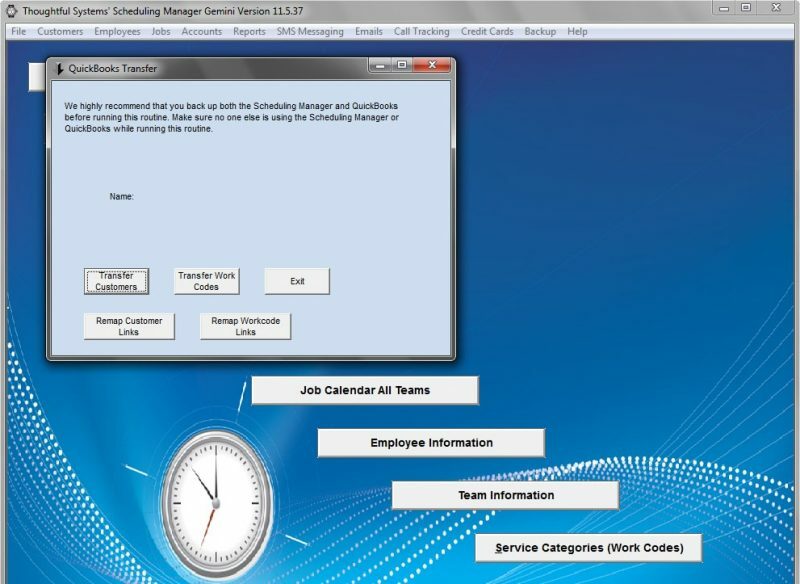 This makes it quick and easy to start using Scheduling Manager. Customer Information is automatically updated in QuickBooks by Intuit when modified in Scheduling Manager and vice versa. Invoices generated in Scheduling Manager are also automatically created in QuickBooks. This seamless interfaces thus eliminates any double-entry. Our QuickBooks RealTime Module now includes the ability to synch information between Locations for a customer in the Scheduling Manager, with Customer Job records in QuickBooks.